Keeping a bullet journal style planner is the number one way I am able to stay organized in my life. 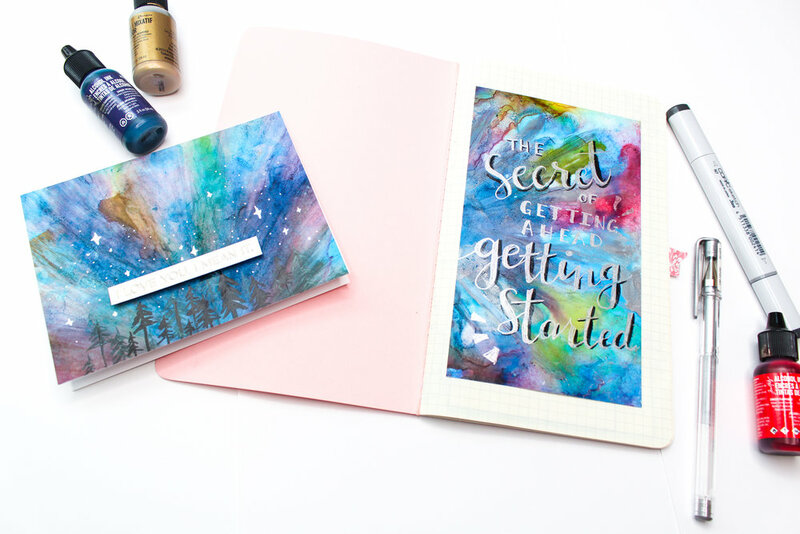 Have you been thinking of starting a bullet journal but don’t know if it’s right for you? I’ve compiled a list of 5 reasons you might want to start one. These are the top reasons I can’t live without my bullet journal — but really, I could come up with SO many more. 1. It helps you stay organized in a way that works for you. I think one of the main draws of starting a bullet journal is the customization aspect. I mean, let’s face it — there are thousands of premade planners out there and it may seem crazy that you’re drawing boxes and calendars over and over again right? But in my opinion, premade planners are always missing tons of things that I want in my planner, and they include things I don’t need. When you have a bullet journal, you can set it up however you want. 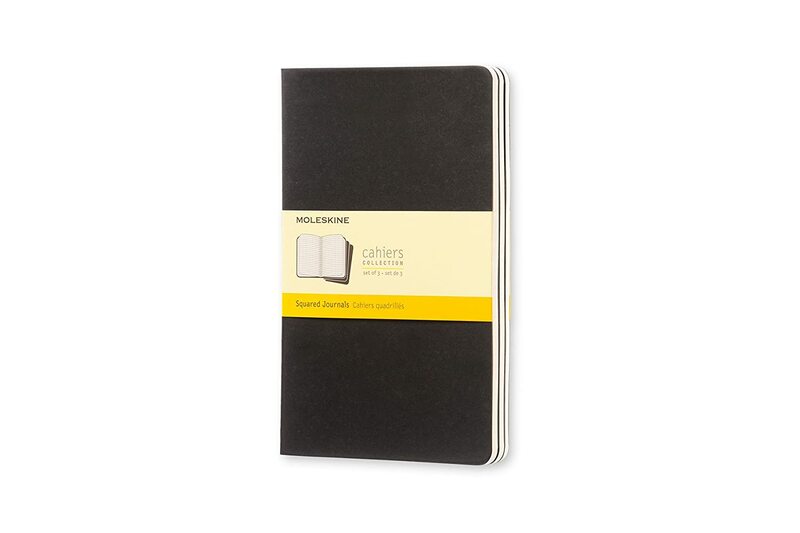 Just flip to the next blank page and create whatever spread or list you need at the moment! 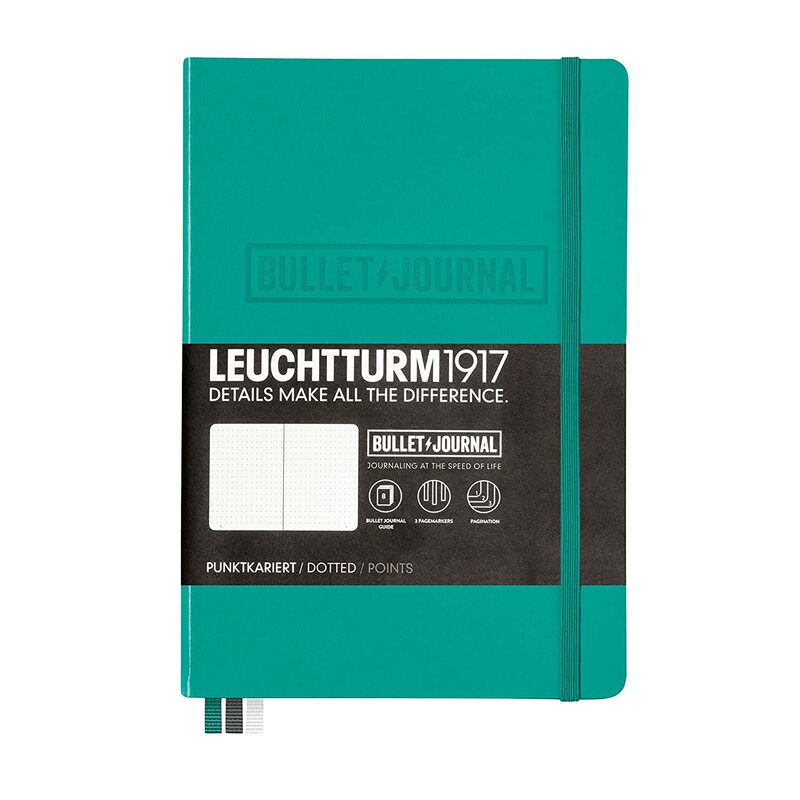 Personally, I love to use my bullet journal as a mix of a planner, a journal, random lists, and a place to document my life. And my needs from month to month may vary — and even week to week! So there is no way any premade planner can account for those fluctuations. 2. It can help build or break habits. 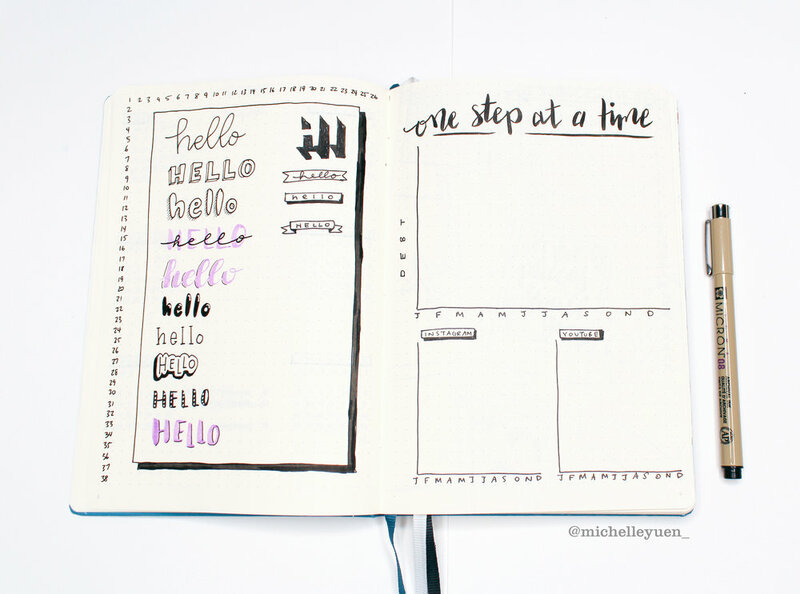 One of the most popular types of spreads in bullet journals are habit trackers. These are nifty little charts, graphs, or even illustrations where you can keep track of habits you want to maintain, cultivate, or break. I’ll admit that I’ve done something just to be able to color in the little square in my journal! It sounds crazy, but any little way we can trick ourselves into doing something good for ourselves is a win in my opinion. When you’re keeping meticulous track of your habits, you become very mindful of how you’re spending your time. If you’ve tracked that you seldom did something you’d like to do everyday (i.e. exercise, cook healthy food, practice a skill), but instead tracked a lot of instances of something not so great (watching tv, scrolling through Instagram), it gives you some accountability and honesty for where the majority of your time goes. 3. It can help you achieve your goals. In the beginning of my notebook, I have some large goals/trackers I document. But tackling a huge goal is so intimidating and often, we don’t know where to start. It would be so difficult to tackle a vague and huge project like that all at once. So each month, I like to make a list of smaller goals that will help me achieve these bigger goals. Then within each of my weekly spreads and daily lists, I can further break down that monthly goal into bite sized, actionable pieces. This has been really helpful for me to feel more emotionally ready to tackle big projects and to make larger changes in my life. 4. 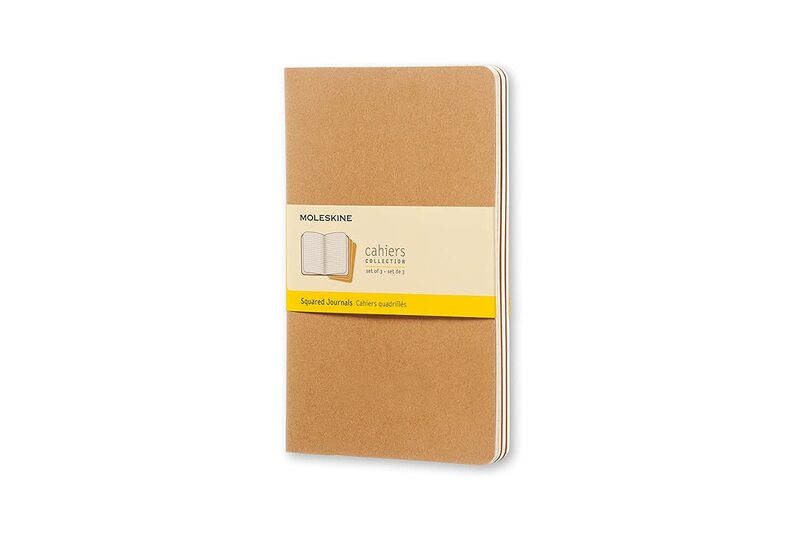 It’s a great way to document your life. This was especially important to me in 2018 because I had a lot of big life events happening — getting engaged AND married in the same year, moving, traveling. 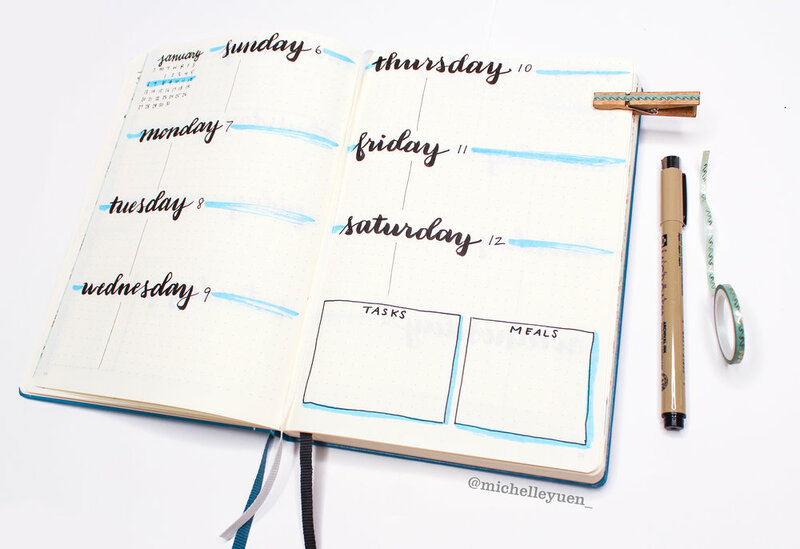 Of course, a bullet journal is a great way to keep track of those big events. But when I think about documenting my life, I actually think it’s the small, seemingly forgettable moments that I feel are so precious — all the more so because the little things are the things we forget first. I mean, for all those big events, we usually already have them on camera or video, but we don’t usually take videos of our everyday life. There are SO many examples of things I have documented in my bullet journal that are inconsequential but all together, they paint a picture of what my life is at a certain moment in time. One example of this is the “Favorites” spread I do each month. This list is usually a list of very ordinary every day things — my favorite makeup at the time, something I’ve been cooking/eating a lot, that sort of thing. If you asked me what my favorite meal to cook three months ago was, I couldn’t tell you. 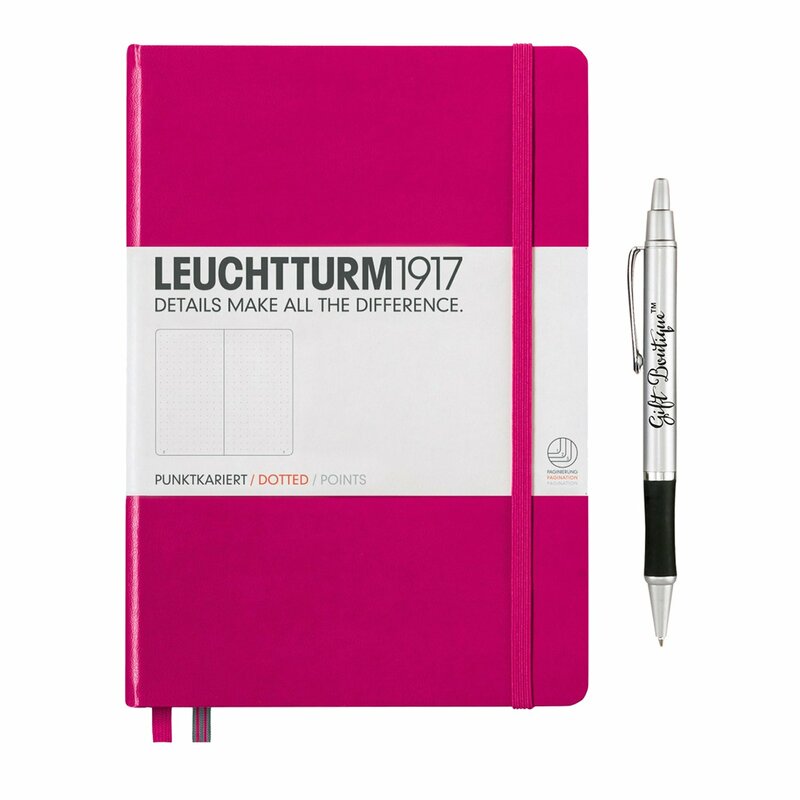 But I’d have it written down in my planner! 5. It’s a creative and emotional outlet. I think that our society greatly undervalues creativity. Whether or not you consider yourself creative, or even if you’re not in a creative field, everyone can benefit greatly from doing something creative every day. This isn’t just my opinion — google it and you’ll find countless articles that can articulate the benefits of creativity far better than I can. Here is one article from Forbes and here is a blog post that I enjoyed. 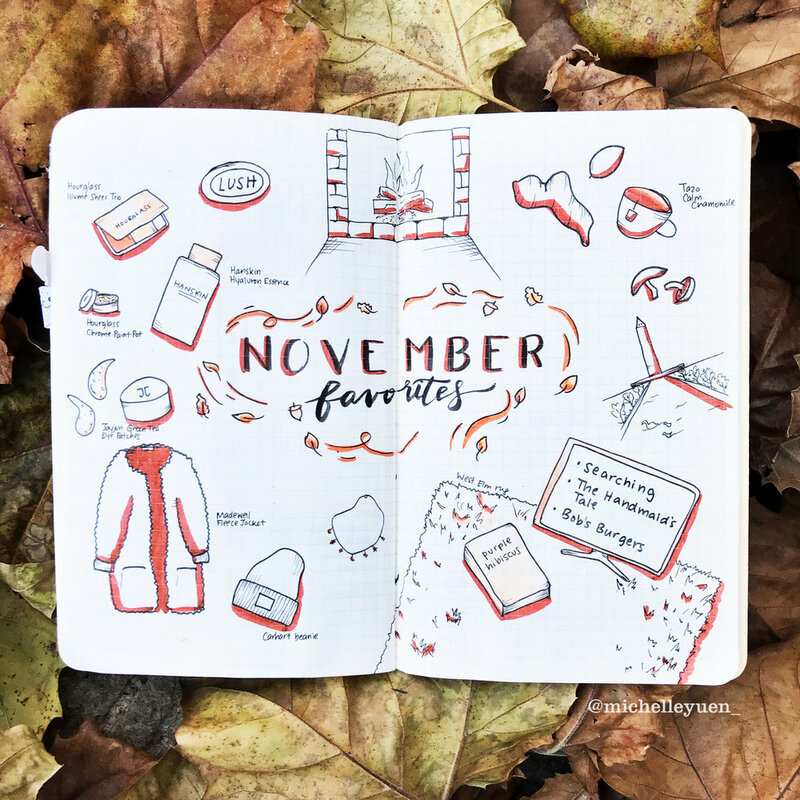 Besides the obvious of how adding doodles and different font styles helps you to explore your creative side, I also find so much value in the space that my bullet journal creates to express myself in words. When you have a dedicated space to write down your thoughts and make list after list, you’ll find yourself discovering so many things you didn’t know about yourself, while unwinding from your day with a non-digital hobby — which is a blessing in itself in our day and age. So there you have it, 5 reasons why you should start a bullet journal. 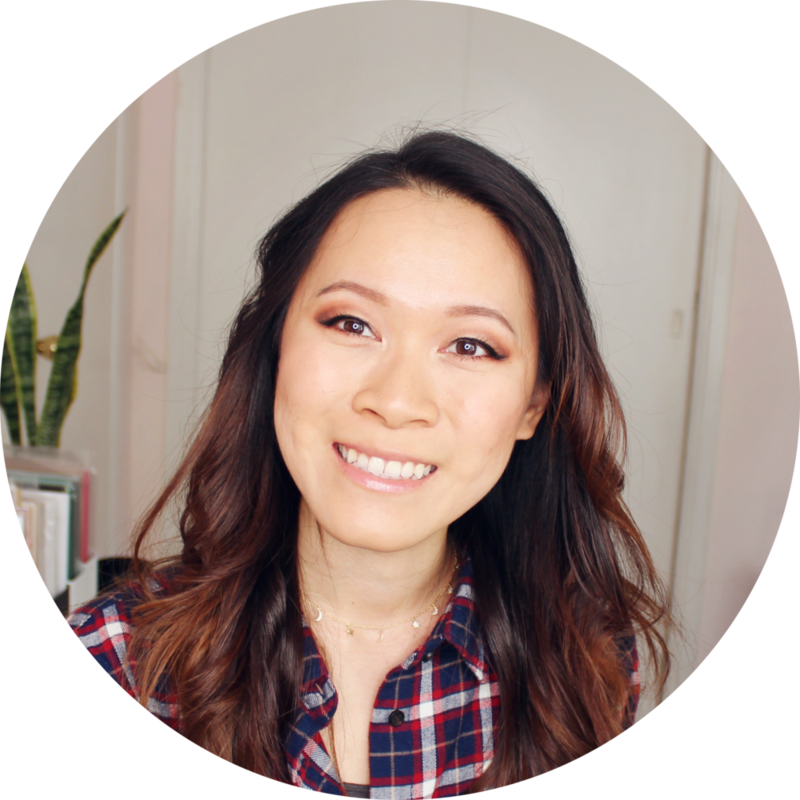 Now, if you want to find out how to actually set up your first bullet journal, check out my post on how to set up your first bullet journal, and follow me on Instagram for more inspiration! Maybe you’ve been thinking of starting a bullet journal, but every time you look up #bulletjournal on Instagram, you’re overwhelmed by the beautiful, perfect, seemingly unrealistic pages. 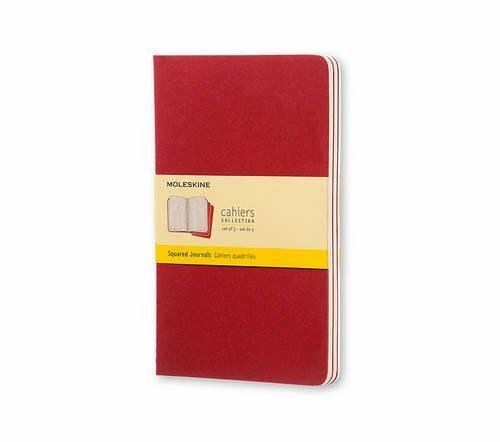 Maybe you got a beautiful new journal for Christmas and don’t quite know what to do with it. Or maybe you’ve realized that you are not as productive or aware of things in your life and you want a place to keep track of things and really help you reach any goals you have - either short-term or long-term. For this journal setup, I stuck to the most basic pages, or spreads that I find to be the most useful in my own life. But of course, feel free to leave any pages out or include anything you think I’m missing. I also included some illustrations, just because I wanted to challenge myself and have some fun, but these can always be omitted for a simple listed page with a header. THE SUPPLIES (they’re all linked in the box at the bottom by the way!). 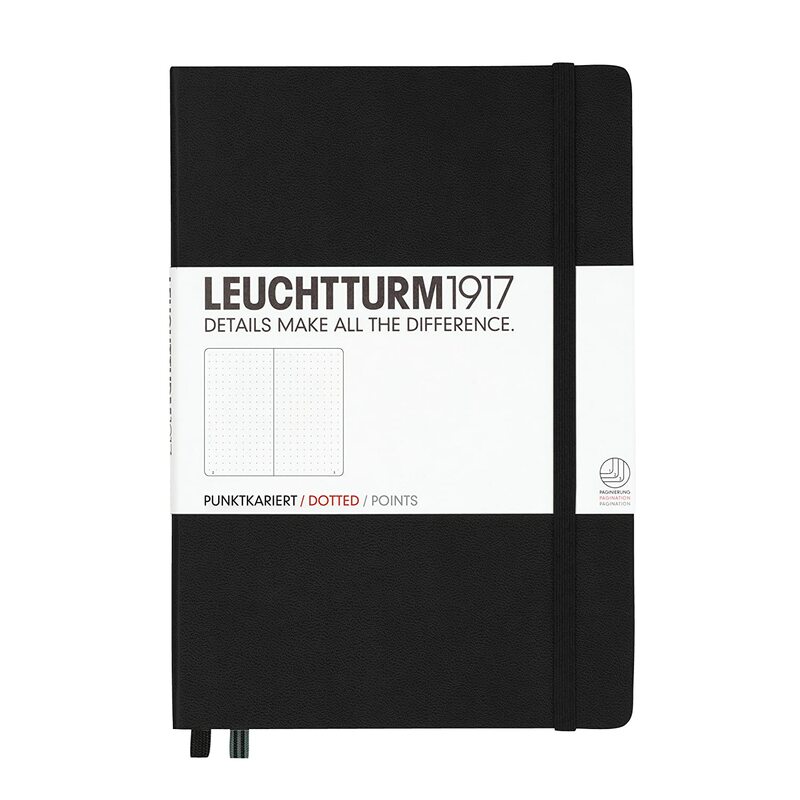 I’m using a Leuchtturm1917 journal, which is the “official” bullet journal and has dotted lines and some extra elements like a bullet journal key in the front and a guide on the back. But you can also just use any journal you may already have on hand. 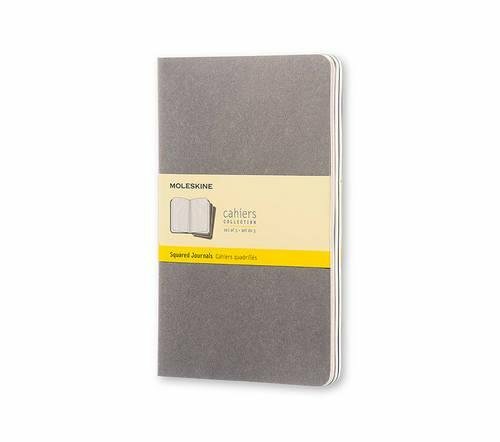 For years, I’ve used Moleskine Cahier notebooks, which come in a gridded variety, although these are paperback and thinner so I usually just have one of these for a few months until I need to start a new one. But these are a great option if you just want to dip your toes in and an official hardcover journal seems too intimidating! 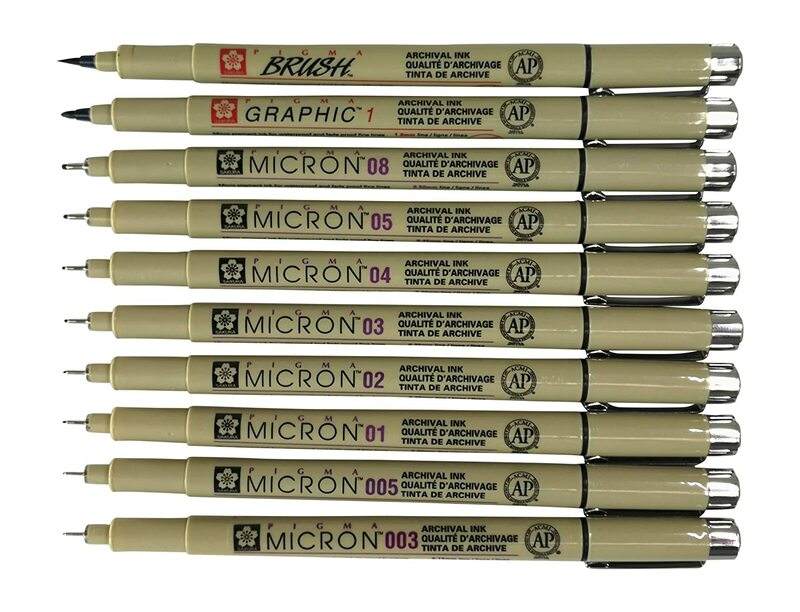 And the pens I’m using are Micron pens - I bought a variety pack that has a bunch of different weights and also a brush pen included. Again, any pen you have will work - I would just suggest something with very black ink (not a ballpoint pen). 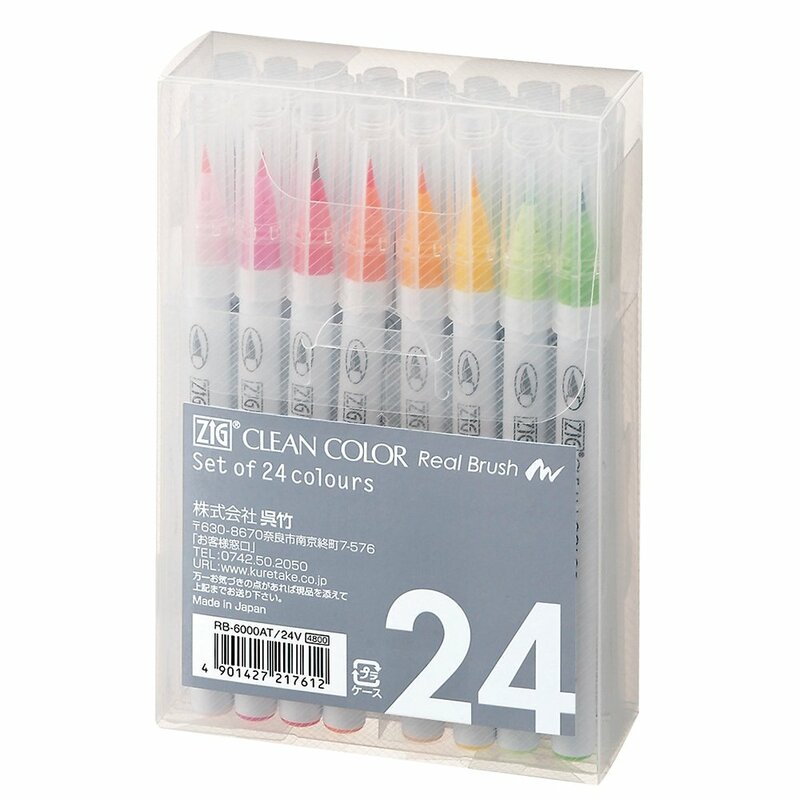 And finally, I like to have some colored pens/markers to add some color. 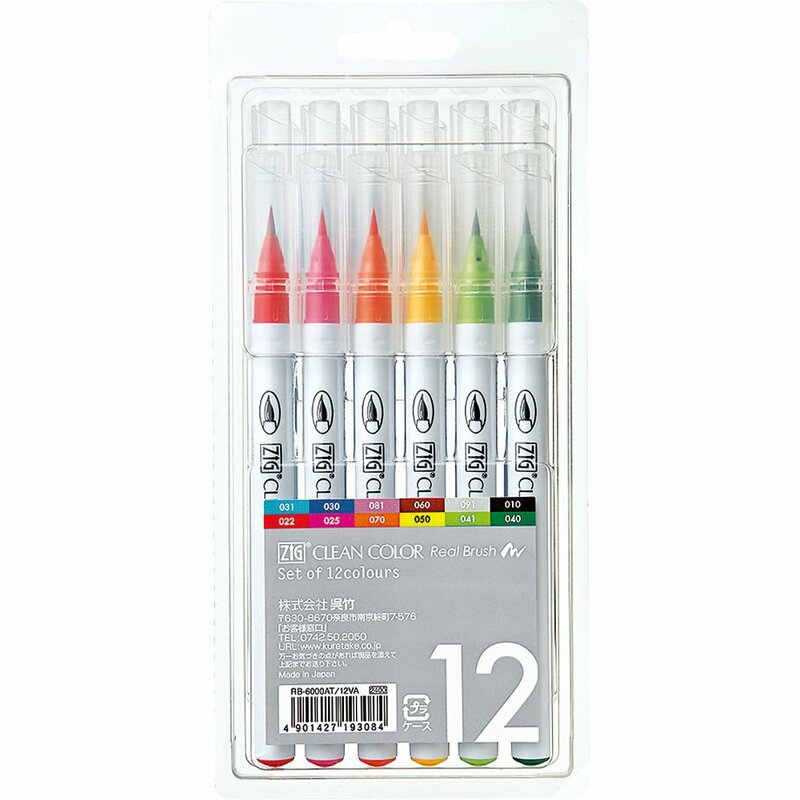 I like to use my Zig Clean Color pens because the tip is a real brush (not felt), and they’re not too inky that they bleed right through the pages. 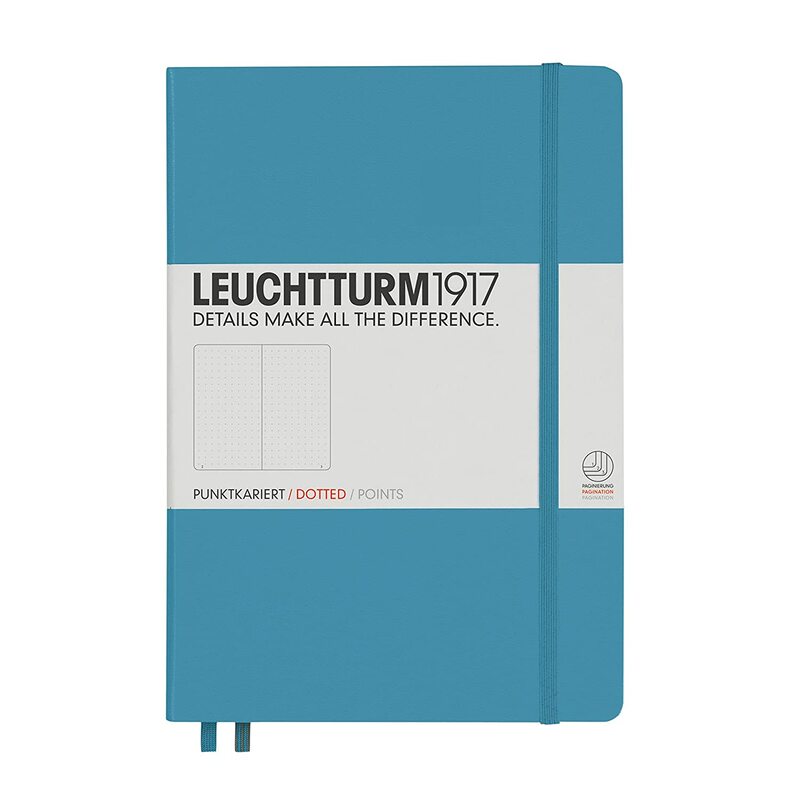 The Leuchtturm journal already comes with a key in the front cover, so I didn’t need to draw one myself (yay! ), and has designated pages in front for the Index and the “Future Log.” This is basically a yearly overview calendar - I created small calendars for each month and next to it, you can keep track of important dates like birthdays and holidays. One page I find to be extremely helpful is a reference page for measurements. I simply numbered each grid both vertically and horizontally. 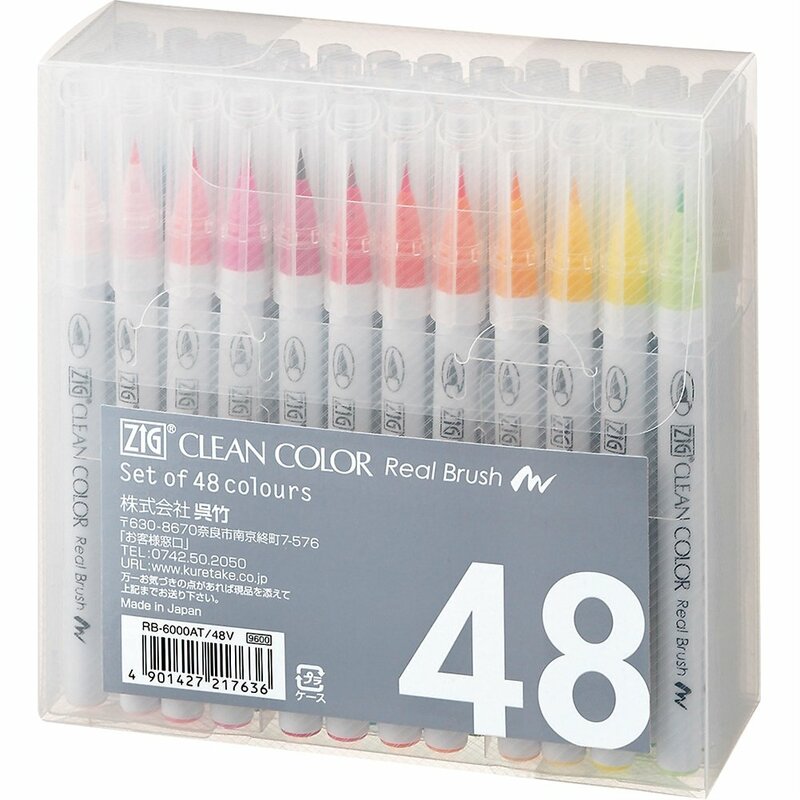 Since there is a lot of box drawing when bullet journaling, it helps to have a handy guide to remind you how many boxes there are so you don’t have to recount them each time you start a spread. Since there was a lot of extra space on the page, I decided to also create a reference of different types of font and title styles. On the other side of that spread, I have a Tracker page - for me, I’d like to keep track of a debt I want to pay off and the growth of my social media accounts. This might be different for you - maybe you have a weight loss goal or you’re saving up for a trip or event. It can be anything, but having a yearlong tracker really helps to keep you accountable, especially during the middle part of the year where you might have forgotten all about your resolutions (we’ve all been there). Another sort of documentation page that I like to include is what I called the “25 things while 25” list. I do this every year - and the number is how old you are! For example, if you’re 40 you would do 40 things. It’s kind of like a big event tracker and really helps me to cherish moments throughout the year, and I also like having a written record of things. Then I have a page for me to list out meals. On one side I have my favorite meals to cook, so that if I’m meal planning and can’t think of anything, I can look at this list and pick something! On the other side, I have a list of meals I want to cook. Down the middle, I doodled some food items, but honestly, I don’t really like how that came out. Might have been better just as simple lists! The next two spreads are very straightforward - a list for me to write new video ideas for YouTube (which, of course, not everyone will have but you can replace it with anything else you’d like - hobbies to try, foods to eat, etc!). Then I have a list for TV/Movies I want to watch. I hope you guys enjoyed my guide for a 2019 bullet journal setup! Let me know any spread ideas you like to include in your new journals, and tag me on Instagram (@michelleyuen_) if you make any spreads inspired by these! 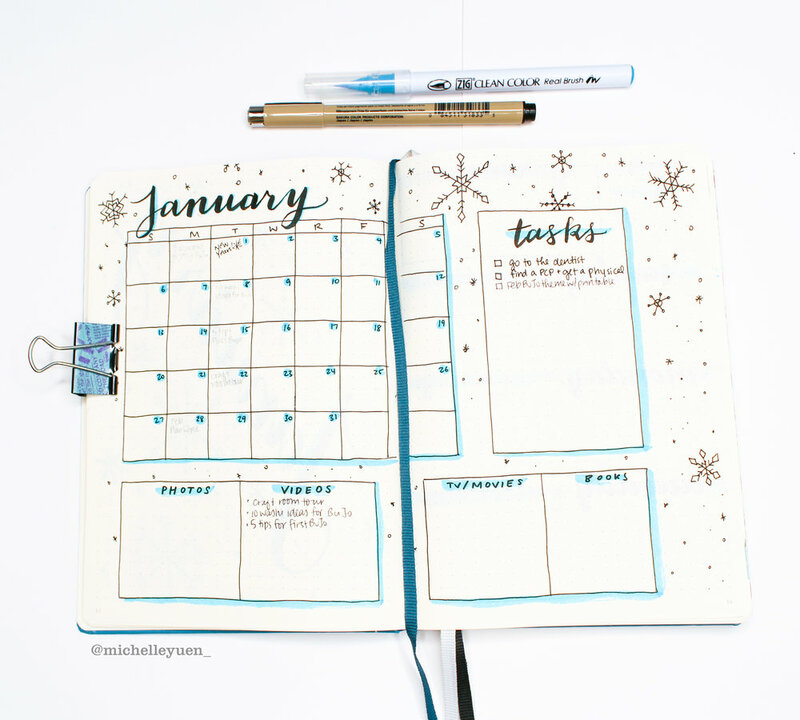 Once you’ve set up these beginning pages of your bullet journal, you might want to check out my January setup - it comes with a FREE PRINTABLE to get you started! Plan With Me | January Bullet Journal - FREE PRINTABLE! Hello! Hope you all had a wonderful Christmas!! Now that Christmas is over, it’s time to get ready for the new year… am I the only one who is shocked that it is almost 2019?? I feel like this year went faster than any other year in my life, but this just gives me even more reason to stay dedicated to keeping a journal for me to keep track of everything! After setting up my new bullet journal, I flipped to the first blank spread and created a decorative cover page for January. This month, I’m going to have a snowflake theme because I thought that this would be doable for all skill levels! And my theme color is a nice wintry, sky blue. I also decided to create this cover page into a FREE PRINTABLE that you can download here to save you some time: (Please allow up to 24 hours for email delivery). It’s sized to fit an A5 journal perfectly. For my monthly overview spread, I did pretty much the same thing as I did for my December setup because I know that this layout works well for me. I just subbed in my blue color instead of green, and scattered some more snowflakes around! For my weekly spreads, I tried a different layout than last month, where I had vertical boxes for each day. Instead, I created horizontal spaces for each day, with large brush lettered titles for the days of the week. I love the contrast and clean look of this. 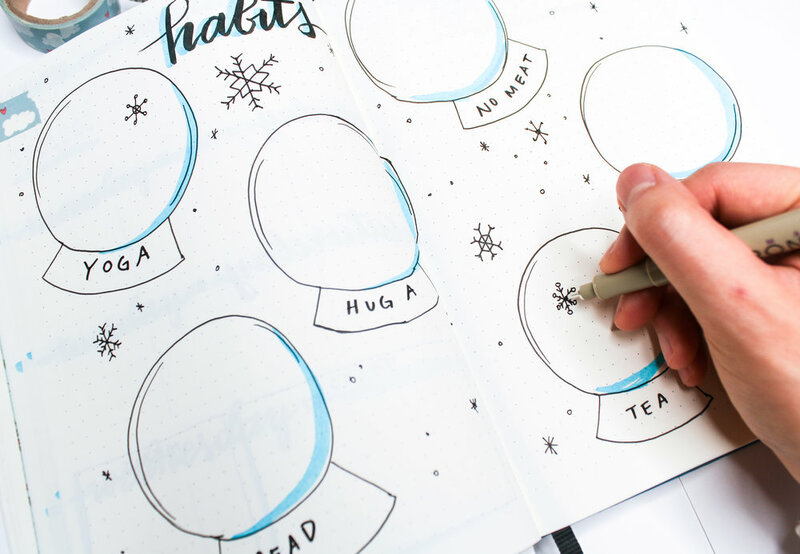 I’m not very good at keeping typical chart-like habit trackers, so I thought of a fun idea for this month, where each “habit” is a snowglobe, and every time I do each of the things, I’ll draw a snowflake in the snowglobe. Then by the end of the month they’ll be all filled with snowflakes, and I think it’s going to look so fun! Then, as usual, I ended my pages with some simple lists for gratitude, favorite things, and brain dump/journaling ideas. Easy enough!